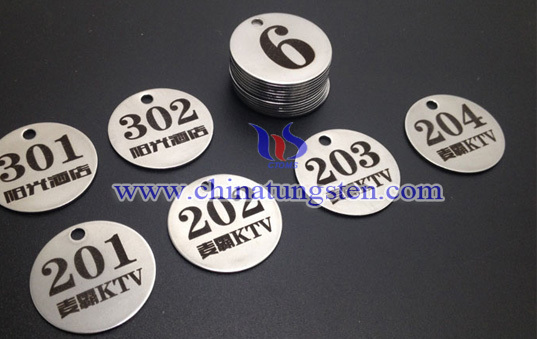 Round tungsten numbered tag can be engraved with named logos, Arabic numbers, English letters or other customized patterns according to customers’ requirements. With high power laser engraving, writings or patterns on the surface are clear, water resistant, abrasion resistant, heat resisting, non-deforming, and not easy to fade. 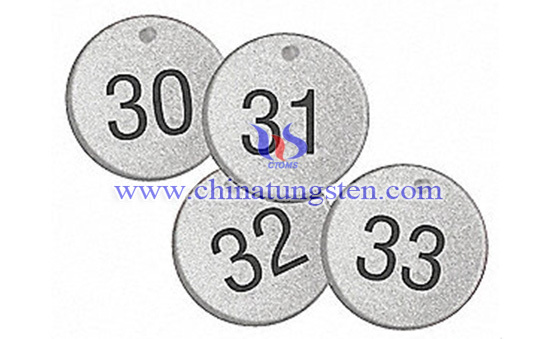 Round tungsten numbered tag has gradually become the focus of fashionable ornaments with its unique metallic luster and material properties. Its slightly unpolished surface, simple, calm, subtle, warm and imaginative style and cool mental color wins the favorite of fashionable young people and white-collar workers. 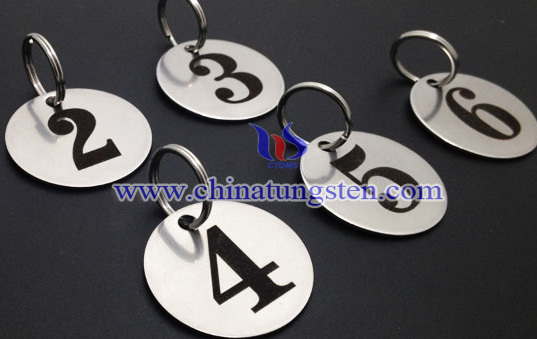 The numbered tag is mainly used as key tags, baggage check cards, restaurant number cards and other classification identification tags. 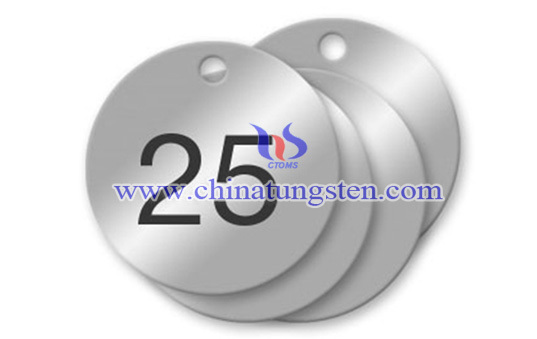 If you have any interest in round tungsten numbered tag, please feel free to contact us by email: sales@chinatungsten.com sales@xiamentungsten.com or by telephone:0086 592 5129696.